All details of how the U.S. government found and killed Osama Bin Laden will likely never be known, but reports this morning indicate the squad of U.S. Navy SEALS which ran the attack had two helicopters and this drone, known as the "Beast of Kandahar." The Lockheed Martin RQ-170 Sentinel is a fighter-sized aircraft with a 65-foot wingspan whose existence has only been official since 2009, despite being used throughout the war in Afghanistan and spotted by aviation enthusiasts. 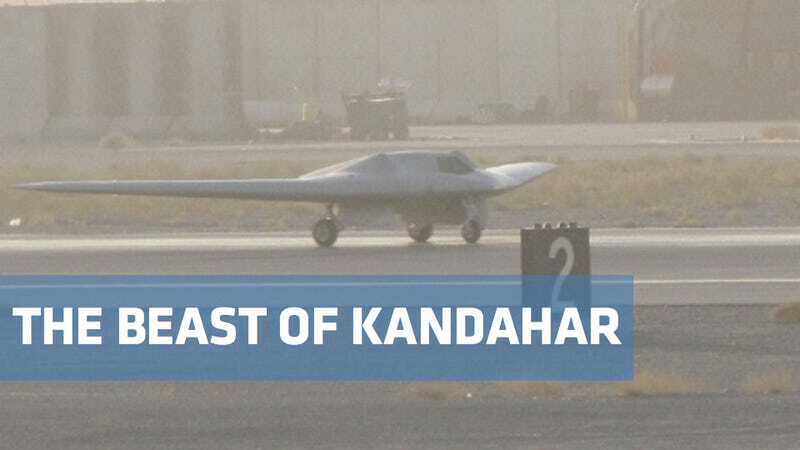 Based in Nevada and a Kandahar airfield — where its nickname as "the beast of Kandahar" derives — the RQ-170s main assignment has been reconnaissance and surveillance for ground troops. Given the location of Bin Laden's fortified compound — steps from a Pakistani military training center — the RQ-170 was likely the eyes and ears of the operation, streaming live feeds back to command centers. It's one video involving Bin Laden the world may never see.